This Friday, March 18, and Saturday, March 19, are stakes-heavy nights as series end and series begin. The Meadowlands nears its April break (as of this writing, to return in May) with a couple of series finals. Woodbine hosts the Damsel and the Cam Fella finals and Yonkers starts its stakes season with legs of the Petticoat and Sagamore Hill series. March is only half over, so all harness past performances are still free at TwinSpires and we will analyze more exotic action for you from the Meadowlands and Cal Expo. In the $129,000 final of the Overbid on March 18, nine of this season’s best free-for-all mare pacers attempt to put top dollars in their young 2011 earnings account. Laughandbehappy will be all out for the best share of the purse, although she seems to be starting to lose her edge. Still, she will probably share favoritism with Not Enough, who is racing sharp so far this season. We draw your attention to Cuz She Can, a veteran of this series. She was third two seasons ago and is best this time of year to pull an upset. On Saturday night, March 19, it may not be the luck of the Irish that wins the $100,000 Four Leaf Clover Final for Valentino. He put in a super mile last week, going a pair of :26.4 quarters without breaking a sweat. On his back, look for Code Word, who was hung badly last week, and Get It Now, who lost at the wire last week after winning the first leg. 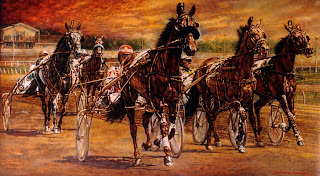 Friday, March 18, the four- and five-year-old pacing mares storm a mile in the $100,000 Damsel Stake Final. Because Ardor Locke gets post 9 here and Didrickson will be a wild underlay, we like LH Nenia at a price. She was 6-1 coming in second in her elim and should be that much if not more from post 1. Those three could be the triactor elements and that combination would not be a bad payoff, so consider it. Saturday, March 19’s $100,000 Cam Fella Final is being touted as a coronation for Meirs Hanover, who everyone feels is the best older pacer right now. But this division is still developing and though “Meirs” is sharp, this field could produce big numbers. In the solo elimination, Web Cam (6) made a move to get cover on the outside and wound up inheriting the first-over spot, ruining what may have been a major wake-up journey for the 65-1 shot. In this final, it would not be a surprise to see Web Cam work out a trip that would be considered a shocker by some. Beware; this could be a monstrous upset. Sniper Seelster (2) could be in the mix, even though last week’s effort was disappointing. 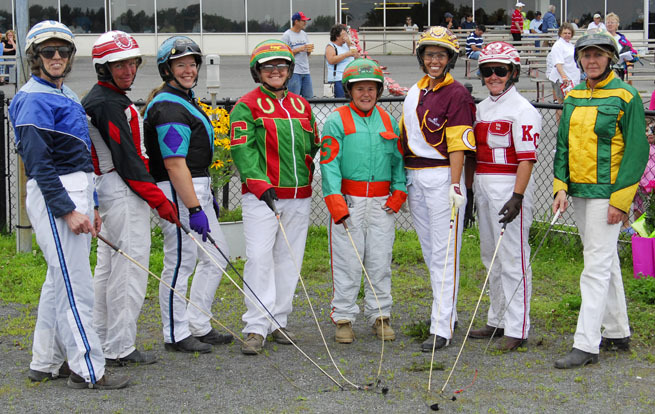 The stakes season launches on Friday at Yonkers with the first leg of the Petticoat Series. Remember that all stakes events go at the 1-mile distance on the half-mile oval. There are seven Petticoat divisions. 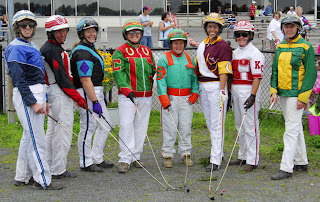 Some of the hot entries include Lorrie Please, Summer Snow, Party Dream, Keystone Katherine and Carrie Ann. On Saturday, the older male pacers battle in leg one of the Sagamore Pacing Series. There are also secen divisions. 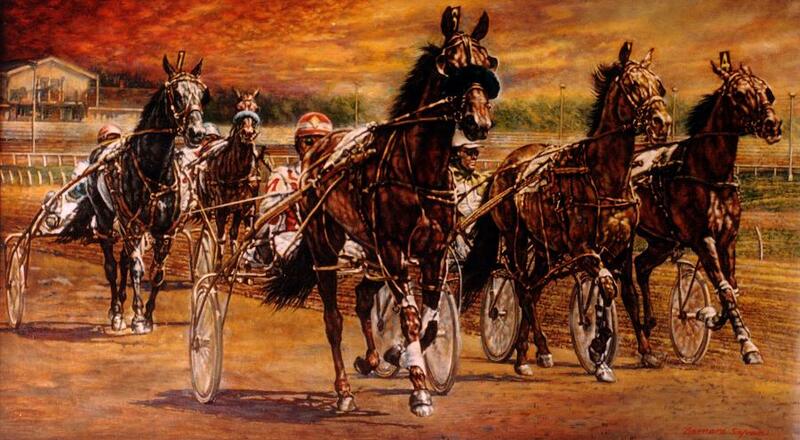 Some of the hot entries include Cheyenne Oxe, Park Lane Western, Tuff Enuff Hanover and Andy Baran. Not all of these should go to post as choices, so watch the toteboard. (2) Southern Ally lost a qualifier to Hypnotic Blue Chip at the Meadowlands after some trouble racing at Yonkers. Southwestern Dream (4) is a former Four Leaf Clover champ stepping down. Dinner Guest (8) just held on last week and picks up Simon Allard for the ride. (1) Really Rockin won in this condition a few weeks back. Spy N (5) had a rough journey last week and could make amends. (2) Mighty Young Joe has taken to the two-turn events, coming off a powerful enough win to step up and be a single. (1) Sequoiahs Spirit N was second at 18-1 at this class and could make Stacy Chiodo’s horses win two straight legs of this exotic (“Joe” is her horse in Race 8). Cold Hard Cash was second last week even with interference, going first time out for new trainer Chris Marino. This is a $12 ticket; add or subtract horses to suit your budget. (5) Red Star Wild One has awoken since claimed by Gene Vallandingham last month and can repeat off a sharp win. KB’s Cousin (6) made two strong moves last week and got second. These two look strong, especially since the probable favorites (a beaten choice and a return winner) are coming out of the outside two spots. (2) Freedomize failed as the choice last week, closing well to get the place spot and looks like a single in a very poor field, according to recent form. (3) Long Last Look continues to win sans support. He paid 7-1 in last week’s Pick-4 leg after two wins. Bo Knows Power (5) was second closing well last week and is sharp now. Whitesand Lord (6) put in a mighty wire-to-wire effort as the choice and returns to attempt a repeat performance. (4) Cruiserluckyseven closed too late at 2-1 and only got third. Gee Gee Cryil Lee (5) had to grind first over and was passed by horses traveling easier trips. If you want to use all of these, the ticket cost $24.